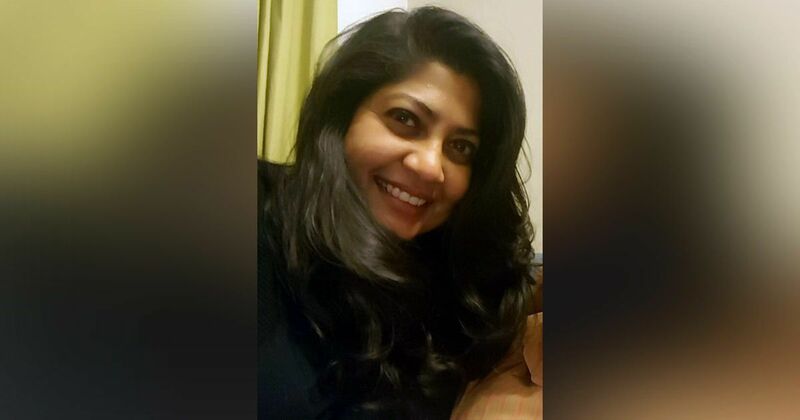 As bestselling authors like Ravinder Singh and Ravi Subramanian move to HarperCollins India, fiction publisher Diya Kar Hazra explains their strategy. Don’t let the wine-soaked book launches, literary awards and glitzy literature festivals fool you. While Indian literary fiction continues to throw up some interesting writers and books, the backbone of the publishing industry in India very much remains non-fiction and commercial fiction. Selling in the tens of thousands (and for big names, lakhs), commercial fiction writers bring in the kind of money that successful literary novelists can only dream of. Mythological stories (Amish Tripathi and Devdutt Pattanaik) and romance (Ravinder Singh, Durjoy Datta, and Preeti Shenoy, among others) still rule the roost. For publishing houses, holding on to these bestselling authors is key for their financial health. And for publishers that manage to convince authors to switch over to them, it’s a cause for celebration. With the signing of Ravinder Singh and now Ravi Subramanian, it appears that HarperCollins is pushing hard to build a heavy-hitter commercial fiction list. Is this an active strategic choice? We are absolutely thrilled to have Ravinder and Ravi on our list and are looking forward to publishing them next year. Yes, we want to build a strong list of popular fiction (and non-fiction). This will include well-established writers, “big names”, as it were, as well as debut authors. Other than the money, what attracts top-tier commercial fiction writers to one publishing house over another when they are already bankable authors based on their name alone? This is probably best answered by the writers, but I’d say when writers are approached with ideas that excite them, they are happy to explore other opportunities. New, innovative ways of marketing and publicity and ambitious sales and distribution are further draws. In Ravinder Singh’s new book that you’re publishing next year, the original gang of four from his first novel makes a comeback. Do readers respond well to recurring, familiar characters? Is this something you encourage writers to explore? Ravinder’s gang of four was such an enduring bunch – so real, so easy to relate and warm to. Sequels and comebacks aren’t easy but Ravin’s readers won’t be disappointed. The gang is older in this one and they’re as endearing as ever. And the novel’s a lot of fun. When we identify strong character(s), we do encourage series or sequels. Arjun Gaind’s Death at the Durbar [the second book in the Maharaja Mystery series] is one of my favourite novels next year. One of Ravinder Singh’s books is going to be published in the UK – the first popular work of Indian commercial fiction since Chetan Bhagat’s to get there. While literary fiction from India often finds publishers (and audiences) overseas, do you think there is an international audience for Indian romance writing? Is this a readership you are keen to tap into with the books you’re commissioning? It really depends on the book – both the subject and the writing. When we acquire or commission a book, we make sure it will find readers here (in our market). We explore the possibility of publishing the book in other Indian languages and, if we feel the book will travel and find an international audience, we look to acquire world rights so that we are able to offer the book to our colleagues globally and/or find the right home for it with another publishing house. Popular fiction from India has sold internationally. Among them, Swati Kaushal’s Piece of Cake was published in Germany and Arjun Gaind’s A Very Pukka Murder in the US. Who are the authors to watch out for in the commercial fiction genre? Who is on your wishlist? Among those we are publishing next year are Hussain Zaidi, Nikita Singh, Ravi Subramanian, Ravinder Singh, Yashodhara Lal and Arjun Gaind. We’re also publishing some outstanding fiction by writers to watch out for – Zarreen Khan’s delightful Koi Good News? and Trisha Das’s novel centred on a Chandela king and the Khajuraho temple. And fantastic debuts by Nikhil Pradhan, Taha Kehar and Prajwal Hegde. Shweta Bachchan-Nanda’s first fiction will also be out next year. You’ve just signed on Ravi Subramanian to write Don’t Tell The Governor – his first book with HarperCollins India – based on demonetisation. Do you think financial thrillers still have a readership in India? We can’t seem to get enough, given Ravi’s huge success. What themes are popular? Is there a new emerging trend or are romance and mythology still the clear leaders? While romance and mythology dominate the market, we now receive more manuscripts that involve plots that readers can relate to, those that reflect the current climate – political thrillers, gruesome crime, nuanced relationship novels, stories around social media. Ravinder Singh is highly active on social media and has racked up over a million twitter followers. Is regular social media engagement with readers now non-negotiable when it comes to success as a commercial writer? Do conventional marketing activities like book tours and contests still work for commercial fiction titles? Is there anything new you have done or are planning to do that breaks away from the traditional model? Book tours don’t always work; neither do launch events – they don’t necessarily translate into sales. Having said that, sometimes events are necessary as a way of announcement. And it’s useful to be innovative and to ensure that the event gets the desired attention. With a commercial list (both non-fiction and fiction), interactive promotions and marketing helps – social media and online presence and activities, our award-winning Harper Broadcast, reaching out to reader and blogger communities and collaborations (with lifestyle brands, for instance). What is the number of copies one has to sell to be considered a top-level commercial fiction writer today? Do you see the market increasing or shrinking in the next few years? Fiction remains a challenge, and to be considered a big commercial success it would have to be around 25,000 copies. Having said that, we are always open to publishing new voices and new genres and that usually involves taking risks.